I love mini toasts and pancakes! 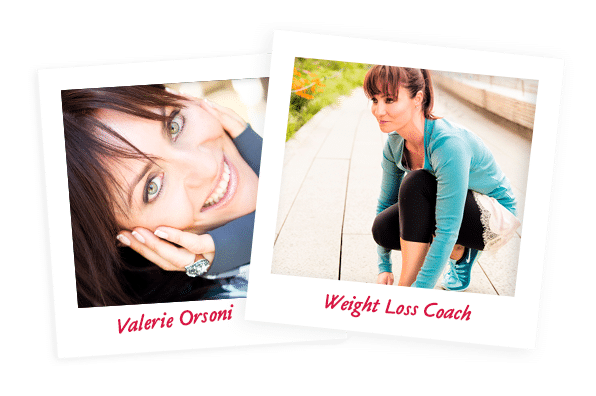 They make the best appetizers because they are small and allow you to control what you’re eating in a mindful way. And what’s more, if you make them yourself you actually know which ingredients you are consuming, and you can choose gluten-free flours or dairy alternatives to suit your dietary preferences. 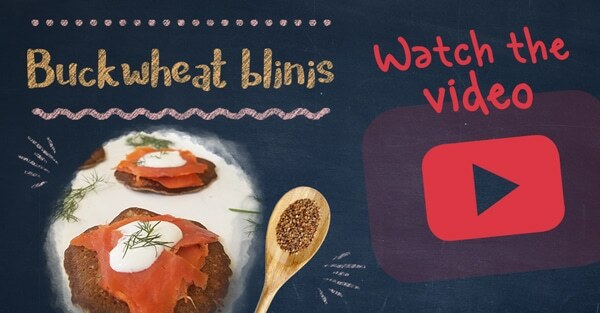 Blinis are mini pancakes, traditionally made with buckwheat flour which works perfectly well for your buckwheat-loving coach! Despite its name, buckwheat bears absolutely no relation to wheat. And it is naturally organic because growing it requires no fungicides, herbicides, or pesticides! It’s good for your body and good for the planet :). 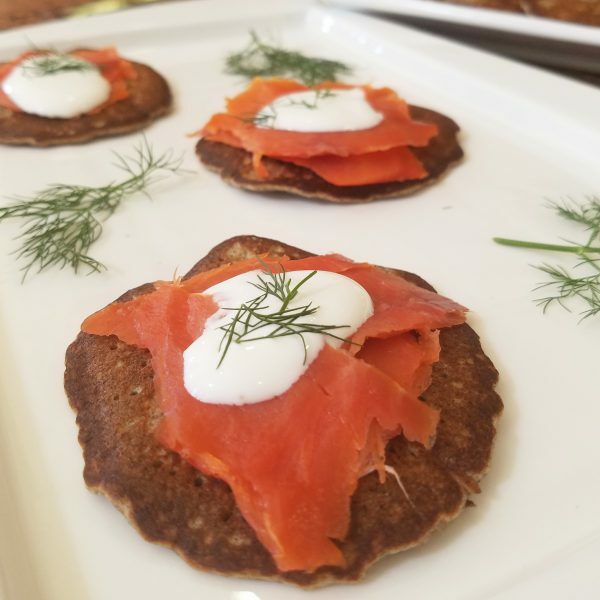 You can serve these buckwheat blinis with just about anything you’re craving: caviar, smoked salmon, foie gras, homemade chutney, your favorite dips and more. 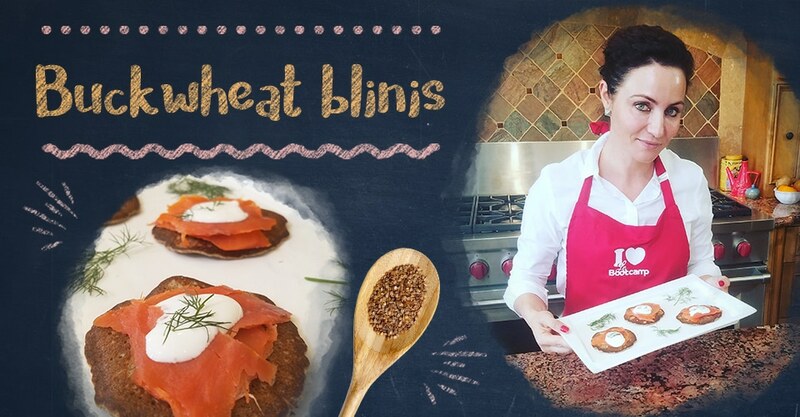 What’s more, you can prepare this recipe in advance so that you can cook the blinis just before serving and enjoy them warm! In a large bowl, combine all the dry ingredients together: gluten-free flour, buckwheat flour, sugar, yeast and salt. In a pot, melt the butter and milk over low to medium heat. Pour the butter/milk into the dry ingredients, whisking well to obtain a homogenous mixture. Cover the bowl with plastic food wrap and let sit in room temperature for 1.5 hours. Mix, and then whisk in the eggs. Mix well and cover again to refrigerate for about 1 hour. Make the blinis on a greased griddle or skillet: cook them for about 1 minute per side.